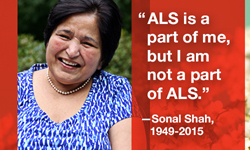 Help recognize May as ALS Awareness Month! 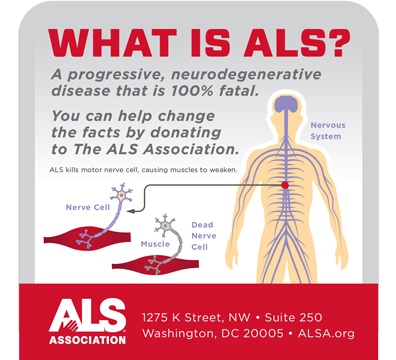 Lend your voice to the fight against ALS this month to help bring awareness and understanding of this devastating disease. 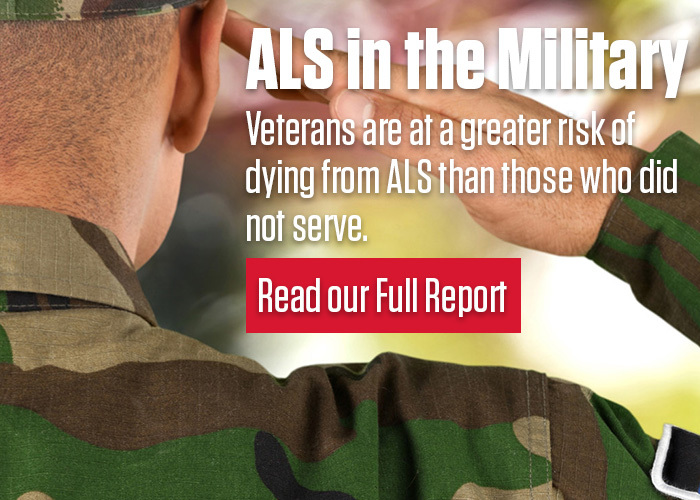 Become an ALS advocate, urge your representatives to support legislation that impacts the entire ALS community, and bring attention to the needs of people with ALS so, together, we can realize our dream of a world without ALS once and for all. Learn how your support has helped to triple the amount spent on research each year; facilitate partnerships with university scientists and drug industry leaders; and fund new global collaborative research initiatives. Learn how your support has helped to further advance legislative and regulatory priorities; rally record numbers of people to advocate in Washington, D.C.; and create guidance and remove barriers so that companies can develop drugs faster. 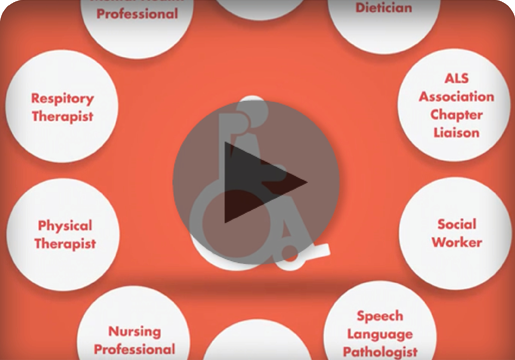 Learn how your support has helped to double grants to ALS treatment centers; expand patient access to care in underserved areas; and improve education materials for those fighting the disease. 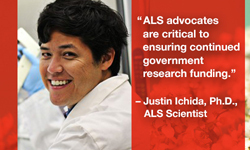 Check out our new blog to read the latest ALS news and how your support makes an impact! Help increase ALS awareness by attending our research and care services webinars this month! 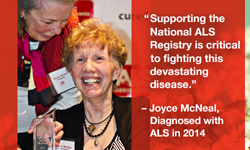 for matching all gifts to The ALS Association in May up to $60,000!